How do I find care? What do I need to do to complete the enrolment process? 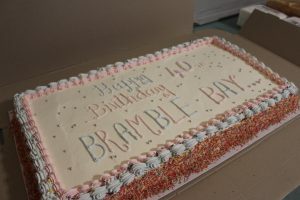 Bramble Bay Family Day Care values and believes in the uniqueness and quality of child care in the natural environment of a family home. Our belief is to provide a consistent, high standard of care and early childhood education in a caring and stimulating home based environment in which all children can feel secure. Our philosophy has been inspired and guided by the Early Years Learning Framework. 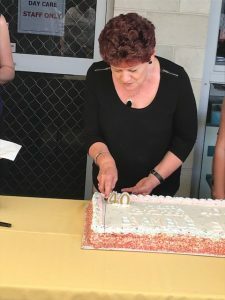 Belonging – acknowledges children’s independence with others (family, a cultural group, a neighbourhood, and a wider community) and the basis of relationships in defining identities. Being – recognises the importance of the here and now in children’s lives. Becoming – reflects the process of rapid and significant change that occurs in the early years. Children are capable and resourceful learners who are active contributors to their own learning. Children have a strong sense of identity and agency and need to be valued as individuals within the context of their family and community. All children have the right to secure, respectful and reciprocal relationships with educators. Children develop a strong sense of well being and resilience through a supportive and secure environment. Children are effective communicators who are intrinsically motivated to exchange ideas, thoughts, questions and feelings. Families are children’s first and most influential educators. Trust, respect and collaboration form the basis for strong partnerships between families and educators. Families are a valued resource and are involved decision makers in educational and developmental decisions. Families should be warmly welcomed and should feel comfortable and secure when entrusting educators with the care of their children. In fostering links between the child and family with the community in order to support the holistic development of the child. That Educators knowledge of individual children is crucial to providing an environment and experiences that will optimise children’s learning. Educators value reflective practice, engaging in questions of philosophy, ethics and practice with peers, families and the community. In the value of Educators individual skills, knowledge and personalities that enrich their pedagogical practices. Educators should set personal and professional development goals to further their skills and knowledge to ensure best outcomes for children. Educators need to be open and effective communicators whilst maintaining confidentiality of children, families and colleagues. Educators need to be innovative in their thinking and practices in order to scaffold children’s learning. Educators, families and coordination unit staff should work collaboratively in respectful reciprocal relationships. The program considers the whole child and the interrelated nature of development and learning. It supports children’s social, emotional, personal, spiritual, creative, cognitive, linguistic and physical development. The program is developed in response to observations and documentation of children’s strengths, abilities, and interests. Children need a flexible play based curriculum that provides for different learning styles. The creative process is more important than the end product. The program must provide opportunities for self choice, intentional teaching and spontaneous experiences. The program should respect and support individual and cultural diversity. A rich, safe, stimulating and nurturing environment has the potential to stimulate imagination, promote creativity and enhance aesthetic development. The environment should welcome children, families, coordination unit staff and visitors and celebrate the diversity of cultures within our community. All children, families, Educators and coordination unit staff from religious, culturally or linguistically diverse backgrounds, are treated equitably and are supported, valued and included in all parts of the scheme. An anti bias program encourages children’s awareness of similarities between people and it teaches them respect for individuals regardless of gender, religion, culture, race, physical or intellectual disabilities. In the valuable contribution the community can make to the holistic development of each child. In our role as advocates for family day care within the wider community . In developing and nurturing relationships between the scheme and families and services within the wider community.